VOLVO, BMW, MERCEDES, VW, AUDI - WE KNOW YOUR CAR. IT'S NOT JUST CARS. IT'S FAMILY. INTEGRITY. HONESTY. A JOB DONE RIGHT. DAD TAUGHT US: THE BEST TOOLS AREN'T ONLY IN THE TOOLBOX. Our dad, Al Andersen, never wanted ours to be like other repair shops. But, then, Dad never was like most mechanics. He got his start back when import cars were exotic. He had a knack for getting to the bottom of things. Diagnosis was his watchword. When he started his own business, he built his reputation on it. He always said you have to know what the problem is to fix it. 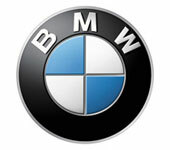 After more than six decades, we're still European car specialists. 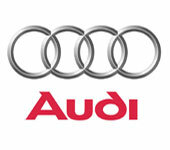 We focus on Volvo, BMW, Mercedes, VW and Audi. Diagnosis still tops the list of what we do. 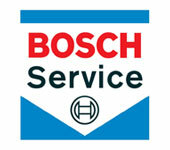 Andersen's is an authorized Bosch Service Center and an accredited member of the Better Business Bureau. 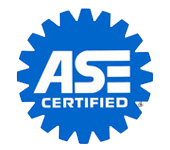 We belong to Automotive Service Association, Automotive Service Excellence and are Colorado ASA Gold Medallion certified. Besides full-service car repair and maintenance, we also do diesel emissions testing on all car makes and light-duty trucks. From a check-engine light to a car that won't run, count on Andersen's to diagnose the problem correctly and get you back on the road. We provide full-service car repair and maintenance, including Alignment, Brakes, Car Care, Electrical Services, Electronic Services, Engine & Transmission, Engine Maintenance, General Services, Heating and Cooling Services, Import Cars, Inspections and Diesel Emissions Testing, Miscellaneous Services, Tires and Undercar Services. To learn more about our services, call us at 303-278-8766 or email us today. Whatever your car needs, whether it's big or small, trust Andersen's expertise and decades of experience to get it fixed. We're your friendly, honest, reliable choice for auto maintenance and repair in the Denver Metro area. Friendly staff, comfortable waiting room. Competent. I really couldn't ask for much more. Family owned car repair and service provider specializing in foreign cars. I prefer Andersen's above dealer shops for my BMW 535XI. Very professional and very honest! Walked right on had my Volkswagen tdi emissions tested. Barely too any time. Nice staff. I'll go back even though it's not the closest. 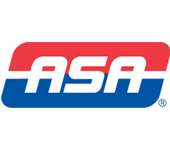 We have been customers at Andersen's for over 25 years. I trust them completely. 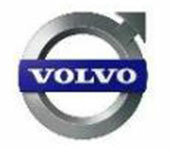 We have taken Volvos and BMWs there without any complaints as to the quality of service received. Kurt is the best!! We have been customers for nearly twenty years and Andersen has serviced our Volvos, Mercedes, BMWs and MINIs, both gas and diesel, for minor and major repairs. It's hard to find an honest shop but Andersen is the real deal! Always timely, reasonably priced and up-front. I will only have my cars serviced here. Fast and friendly diesel emissions testing location. Generally don't have any issue getting an appointment within a week of calling. Diesel emissions test is the reason for my yearly visit. The gal that runs it is very knowledgeable. Great place to go for diesel emissions. 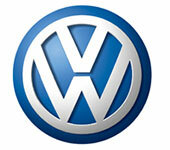 They know the ins and outs of German and Swedish cars and attend personally to routine and non-routine issues. A few months ago, I discovered a gas leak that appeared to be around the gas tank of my 2005 E55 AMG Mercedes. I ordered this car in 2004...it's my all time favorite car. I had the car towed to Andersen's in Golden. A couple of days later I get a call from Kurt Andersen. They had inspected the car and found the leak. Before proceeding with the work, they checked for any outstanding recalls on my car and, amazingly, found an open recall campaign that had been issued on my car years ago. I had never received any notice of the recall. 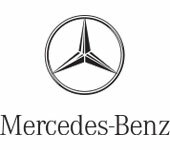 Kurt called Mercedes of Denver to verify that the recall was valid. To make a long story short, Mercedes covered over $2,000 in parts and labor...Andersen could have easily made the repairs and charged me, but they didn't, they took the extra step for the customer. I sum this all up in one word, INTEGRITY. A rare commodity in many businesses today. Thank you to Andersen's. Been going to these guys for years for my old diesel. Tried a different place a while back and quickly returned to Andersen with no regrets. I will echo other comments about it being an honest shop. I really have enjoyed working with the staff at Andersen's. I will normally try to do the repairs myself, but when I can't, I trust that they will do a good job at a good price. 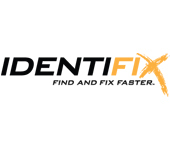 Super friendly and fixed my car quickly and all for a great price. Will go there next time my car has anything wrong! They are honest and hard working, not to mention considerate. I would highly recommend Andersen's.